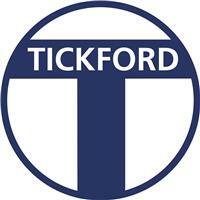 Tickford Security Systems Ltd - Alarms/Security based in Olney, Milton Keynes. Tickford Security Systems has been established as a Security Installation and Maintenance company covering the Milton Keynes and surrounding area for over 30 years. We have 4 divisions within the company which can be packaged into one maintenance contract offering fantastic value for money. Intruder Alarms, CCTV, Fire, Alarms, Keyholding and Access control. We offer a one stop shop for all electronic security. All Tickford Security staff are employed by the company and have undergone full training with the National Security Inspectorate NSI to a Gold standard which is the highest accreditation in our industry. We offer a 24 hour, 365 days a year call out / engineer support service for all contract holders. As a company we have strong values and see every task through to a satisfactory conclusion. Purpose - To be a leader in the Security industry by providing enhanced services, relationship and profitability. Core values - We believe in treating our customers with respect - We grow through creativity, invention and innovation. - We integrate honesty, integrity and business ethics into all aspects of our business functioning.